There are few who can command the type of influence Victor Dinaire has in the dance world. 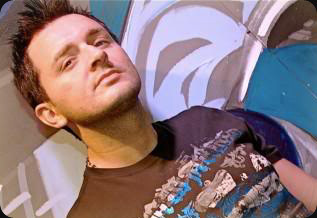 From his chart topping mix CDs to his massively popular radio shows, Dinaire has established himself as a self-made trance sensation reaching more people across the country than any other Dj in North America. 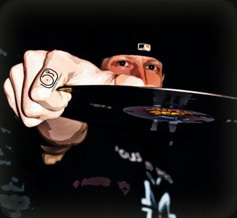 With support from some of the biggest radio networks in the world including Sirius / XM Satellite Radio, Music Choice TV, AOL Radio, DirecTV, Dish Network, ETN.fm, Digitally Imported (Di.fm), and syndication across a multitude of FM stations worldwide, his show Lost Episode reaches well over 80 million on a weekly basis. The demand for his live-show equally matched, Dinaire's uncompromising sound has carried him across the globe from New York to Vietnam with headlining gigs and festival shows alongside heavyweights such as Tiesto, Paul van Dyk, Ferry Corsten, Paul Oakenfold, Infected Mushroom, ATB, and more. With his recent productions climbing to the top of the sales charts and receiving support from Paul van Dyk, Armin van Buuren, Sander van Doorn, Above & Beyond and Ferry Corsten, the world has only witnessed the beginning. Bjorn*Niclas got his first taste of progressive beats in his native country of Sweden Tired of listening to the pop music his country is known for, he began his quest to find music with a deeper, more complex sound. Soon after discovering that others craved the same sound, he began playing the music he loved in the clubs of his hometown. 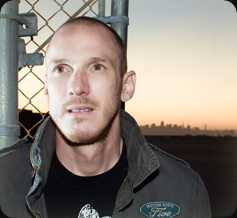 After relocating to San Francisco, he became the resident dj of the legendary San Francisco after hours party—The Penthouse—where he has kept the party going until the wee hours of the morning with his unique style of progressive house. As a resident Dj at Ruby Skye in San Francisco, Bjorn*Niclas is one of the few that can call the super club Ruby Skye home. Here he has played along with talents like, Armin van Buuren, Tiesto, Ferry Corsten, Cedric Gervais, Thrillseekers, Matt Darey, Doc Martin, Sharam (Deep Dish), and many many more. His diverse style of music influenced by his European roots has carved a path for him to be known for his energetic and progressive opening sets for the biggest Djs in the world. Mike's ability to keep you focused on the music makes him a real crowd pleaser. He is known for his great track selection and mixing skills. The thought put into every performance allows him to mix between all sorts of House and Breaks music genres. Lately, his favorites to play are: Electro, Funky, Banging and Progressive House as well as Funky, New School and Progressive Breaks. He has a deep passion for dance music and is influenced by all styles. Mike is always trying to keep things fresh and is endlessly on the lookout for new tunes. You will rarely hear him play the same set twice because he never wants you to know what's coming next. Mike is part of "United Vibes", a Dj and production crew that are determined to throw and be a part of the best EDM events in and around Sacramento. His fellow crew consists of Jon E Qwest, Undecided, MC Reflex, Ryan Kendall, and Formless. U.V. has thrown over 30 parties in the past 3 years including Plured Vision, Release, Energizer 3, Thick, and Below the Surface. United Vibes is committed to bringing you an atmosphere unparalleled in the dance community.